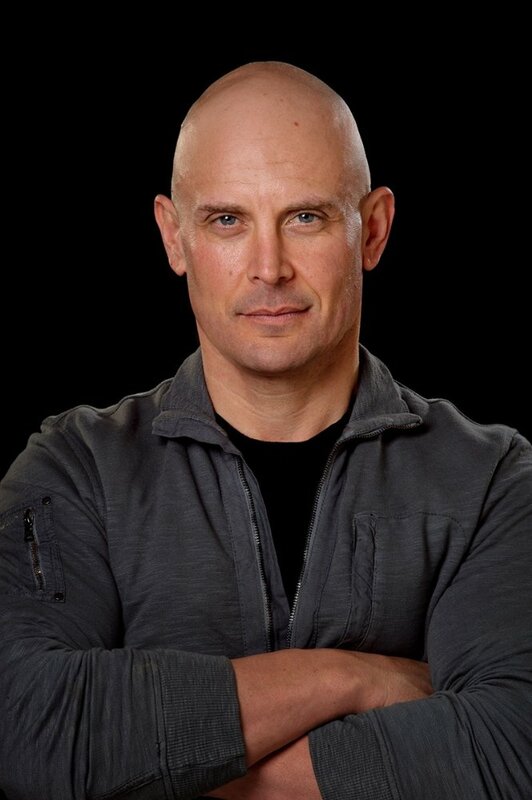 From High Stakes Stunts to Emotional Character Portrayals, Rick Tonna is a Knock Out On Screen! Over the past two decades leading actor and stuntman Rick Tonna, who’s originally from Melbourne, Australia, has made an indelible mark on the Hollywood film industry and abroad through a number of memorable performances in high profile films such as Russell Crowe’s “The Water Diviner,” Jon Hewitt’s “Elimination Game” and “I, Frankenstein,” as well the Awgie and ADG Award winning crime series “Rush,” the AACTA Award winning series “Underbelly” and more. Shining a bright light on the diverse talent Australia has to offer, Tonna is the perfect example of how drive, dedication and skill can turn a Hollywood newcomer into a leading figure in tinsel town’s competitive film industry in a relatively short amount of time. While breaking into Hollywood is rarely easy, Tonna’s established reputation for delivering first-rate work back home in Australia provided a helpful segway for him to begin landing roles in major Hollywood productions once he moved stateside several years ago. In 2014 Tonna took to the screen in Oscar Award winner Russell Crowe’s (“A Beautiful Mind,” “Gladiator”) directorial debut “The Water Diviner,” in which Crowe stars as Connor, an Australian father who travels to Turkey after the Battle of Gallipoli in search of his three sons, who go missing while serving with the Australian and New Zealand Army Corps. A major hit among Australian film critics, “The Water Diviner” earned the AACTA Awards for Best Film, Best Supporting Actor and Best Costume Design, an Awgie Award from the Australian Writers Guild, as well as four awards from the Australian Screen Sound Guild and four more from Film Critics Circle of Australia Awards. In the film, which also stars Olga Kurylenko (“Oblivion,” “Quantum of Solace”) and Jai Courtney (“Insurgent,” “A Good Day to Die Hard”), Tonna shares screen time with Crowe and gives a riveting performances as a Turkish soldier defending his country. “My character was a hard working Turkish man who was conscripted to fight in the war against the Greeks and later fought the Australians in what is known today as Gallipoli. He was simply defending his homeland… His land and people came first his own life second,” explains Tonna. But as we’ve seen through his high stakes performances in a long list of other international hits over the years, such as the Logie nominated film “Jack Irish: Black Tide,” the Golden Globe nominated series “The Pacific,” Syfy’s Saturn Award nominated series “Childhood’s End” and the Logie and AACTA Award winning series “The Secret River,” Rick Tonna is not one to crack under pressure. In 2015 Tonna took on the critical role of Devine in the multi-award winning series “The Secret River,” where he acts alongside Oliver Jackson-Cohen (“Emerald City,” Despite the Falling Snow”), AFCA and AACTA Award winner Sarah Snook (“Steve Jobs,” “Predestination”) and Logie Award winner Lachy Hulme (“The Matrix Revolutions,” “Killer Elite”). Adapted from Kate Grenville’s novel of the same name, “The Secret River” is set in the early 1800s and follows William Thornhill, played by Oliver Jackson-Cohen, a young man who is sentenced to life in New South Wales where he finds himself in the middle of a bloody conflict between the British settlers and the land’s indigenous people. 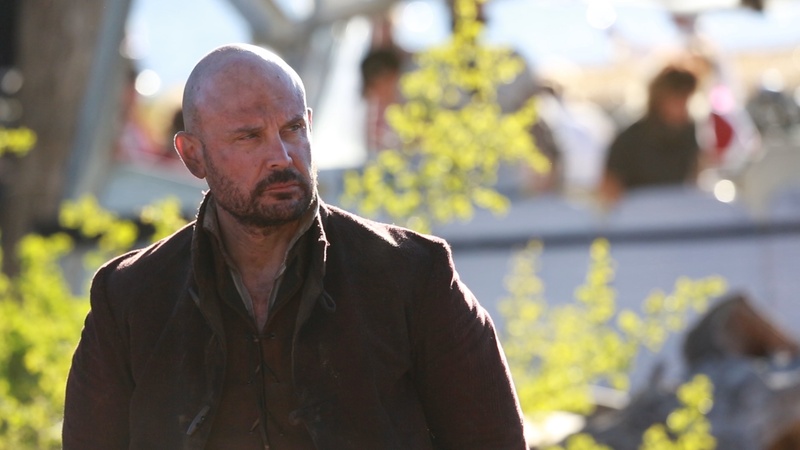 Being from Australia originally, the story “The Secret River” brings to life hits painfully close to home for Tonna, which is only multiplied by the fact that his character Devine is one of the most ruthless and hateful British convicts on the show. Devine is seen throughout the series murdering aboriginal people without remorse, and the way Tonna embodies his character’s brutal and villainous nature on screen makes Devine an easy character to hate. From the audience’s perspective Tonna seamlessly inhabits the character, the truth beyond the screen though is that the role posed overwhelming challenges for Tonna; but that’s what it means to be a great actor after all, to be able to remove one’s self and truly become the character at hand, and Tonna does that without missing a beat. One of the toughest days for Tonna was shooting a scene for “The Secret River” episode two where Devine and his group slaughter an entire tribe. While stunts are what started Tonna’s onscreen career, with his expertise in martial arts and motorcycle precision driving landing him innumerable roles in action-packed productions, his gift for powerful character portrayals, even the ones that are painful to watch like his performance as Devine, are what have made him such a sought after actor around the world. “For me it is about connecting with the audience through the scene. Becoming the character and bringing life to the words on the script. To be able to tell a story that hopefully will move the audience,” explains Tonna about what drives him to perform. Regardless of whether he’s grabbing our attention with his action heavy roles as a stuntman, or captivating us with his authentic and emotionally honest performances as an actor, Tonna is one talented Aussie we can’t help but fixate on everytime he hits the screen. Up next for Tonna is the highly anticipated new series “Emergency: LA,” a dramatic crime series where he will take on the lead role of Motorcycle Officer Joey Truscott. He is also slated to play a critical role on an upcoming series that is currently being developed for Netflix, so make sure to stay tuned for upcoming announcements about that.